Every year ThriftyFun gets numerous requests from people looking for help for their families for Christmas. Since we do not have the resources to offer direct help, we have set up this guide to help people find charities in each state. 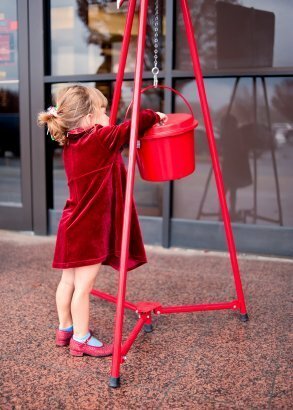 This is a guide about finding Christmas charities in Idaho. The Idaho Food Bank may be able to provide assistance with a holiday meal. The Society of St. Vincent de Paul in Boise may be able to offer assistance during the holidays. It also has a large number of gently used clothes and household items available at its thrift stores, as well as a vast selection of Christmas items. Charities that offer help during the holiday season in Idaho. Please post feedback about any charities you may know about. Editor's Note: Do NOT post here if you need help. ThriftyFun does not have resources to give direct help to those in need.